A new report by consulting firm McAleese & Associates says Raytheon (NYSE: RTN) saw its 2018 bookings jump 16 percent to $32.2B, which resulted in a book-to-bill ratio of 1.2. 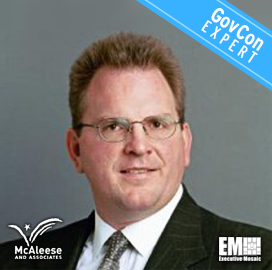 Jim McAleese, founder and principal at McAleese & Associates and a 2019 Wash100 winner, wrote in the report that Raytheon posted a total backlog of $42.4B in 2018, up 11 percent from the previous year. McAleese cited some of the sectors that are “big movers” in terms of backlog: integrated defense systems; space and airborne systems; and missile systems. 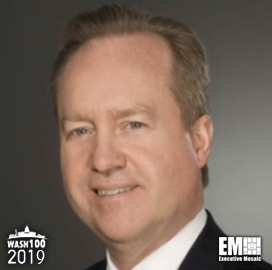 According to the report, Raytheon CEO Thomas Kennedy, a 2019 Wash100 awardee, plans to secure key long-term franchises. Those include the Missile Defense Agency’s hypersonic defense program including the space-based sensor layer; the U.S. Army’s LTAMDR Patriot radar replacement competition; F-35 distributed aperture system; and MDA’s SM-3 IIA missile. The Waltham, Mass.-based defense contractor recorded a 7 percent increase in 2018 sales at $27.1B and saw its cash flow rise 25 percent to $3.4B. Classified bookings in 2018 grew 45 percent to $7B associated with the intelligence, information and services segment; space and airborne systems; missile systems; and Forcepoint. The company posted a 3 percent increase in sector operating profit and its classified sales also rose 19 percent to $5.1B, according to the report.